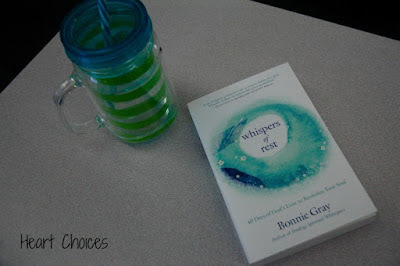 I was so excited when I received a copy of Bonnie Gray's latest book "Whispers of Rest". "Whispers of Rest" is a 40 day devotional and is the second book written by Bonnie Gray. It is organized into six sections. Each day is an invitation to be still before God. Each day is a reminder that you are God's Beloved. Read. Reflect. Pray. This is the format for each day. Read God's Story. This section includes Scripture verses. As you read each story, you are invited to hear God's whispers to you. Maybe there's a verse that seems to speak directly to you. Is God reminding you of the dreams He placed in your heart as a child? Have you become so caught up in your to-do list that you haven't taken time to nurture those dreams and instead stuffed them way back down? Do you need to resurrect those dreams? Reflect on your story. Bonnie offers questions related to the focus of each chapter. An example is a chapter titled "Choose Joy". One of the questions posed was "What have you enjoyed getting lost in doing, that once gave you joy? Why did you stop?" Pray and rest. Bonnie recommends taking time to pray using simple practices such as visual imagery, praying Scripture, kneeling and surrender. Each day has a Beloved Challenge. Take a fruit break, sip a cup of tea, go for a walk, sing a worship song. These are a few of the challenges. Each day ends with Soul Care Trail Notes. Bonnie includes ways to take care of your soul. She cites many studies about the benefits of hugging, aromatherapy, creating art, coloring and prayer walking. I loved this book! It was just what I needed at this time in my life. During a very busy season, I took time each morning to read and rest. I almost felt like it was a mini-vacation despite being a preschool teacher at the end of the school year. I found myself becoming more aware of those simple moments throughout my day. Yes, I still had the required to-do list. But I began to cherish the moments I still had with my precious little students before they moved on to the next grade level. 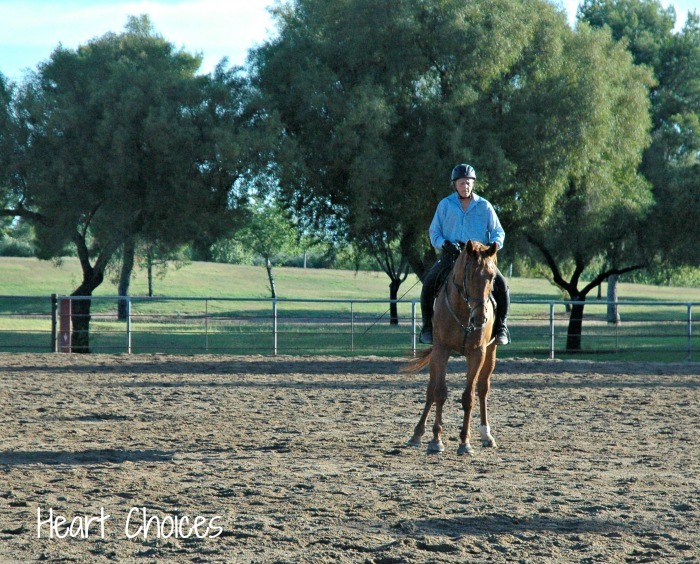 On my way to work, I pass an outdoor arena where riders exercise their horses early in the morning. I often think that one day I need to take the time to stop and watch. So one morning, I decided to put Bonnie's soul care trail notes into practice. I stopped and simply observed the graceful movements of the horses and riders as they galloped round and round. I loved it and it was a great start to my day. I would highly recommend Whispers of Rest. If you find yourself so busy and long for some rest ...this book is for you. Even if you can't make major changes in your life, you can choose how you live in the moments each day. Check out Bonnie's book website for Whispers of Rest where you can sign up for a book study video series and many free resources. ** I received a copy of this book free in exchange for an honest review. I have to admit that I've already purchased two more copies as gifts for my friends and I plan to buy more. I so miss you Debbie, glad to read this post and catch up with you. Hope all is well in your corner of the world. Hugs to you! This book is ideal and from your review it seems to target those areas we need to be reminded of and embrace every day. Great job, Debbie! I hope you have a great summer. Hugs to you!